Today is Yom HaShoah, Holocaust Remembrance Day, so we're postponing the Woody Allen standup comedy routine that we had scheduled as today's Throwback Thursday post for next Thursday. Today we're sharing an inspiring video clip from Orchestra of Exiles, a documentary shown on PBS that is now available for rental from Netflix. 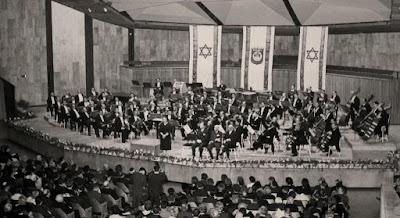 This documentary focuses on Polish violinist Bronislaw Huberman, who rescued hundreds of Jews from the Holocaust and founded the Palestine Symphony, the globally renowned orchestra that would eventually become the Israel Philharmonic Orchestra. The Palestine Symphony Orchestra was made up of Jewish musicians from the top ranks of orchestra and chamber music groups across Europe. Nearly 80 musicians joined, with only a few already living in Palestine. 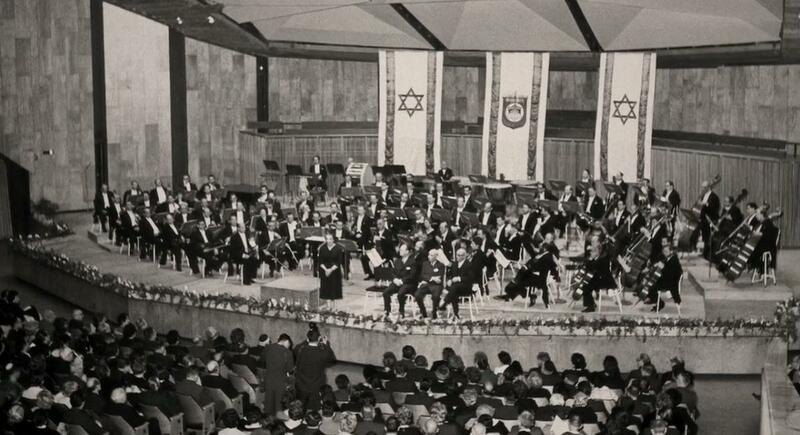 Those who moved from Europe brought their families, which meant Bronislaw Huberman’s efforts to found the orchestra under the threat of a pending Holocaust ultimately saved nearly 1,000 lives. It was not an easy decision for musicians to leave their homes and professional associations in Europe and move to Palestine, a desert land in political transition since the end of World War I. But particularly in Germany, Jewish musicians had lost positions in orchestras because of their ethnicity. As early as 1933, Hitler ordered the firing of Jewish musicians and his anti-Semitic policies increasingly became laws that stripped Jews of their civil rights. Thank you so much for sharing this important part of our history with us. I hope all Israeli children know this chapter of our history. How wonderful. Thank you so much. Against all odds, Israel will continue growing and continue gathering all her children from the 4corners of the earth..No one can stop Her, Adonai Tzevaot is sustaining her with His Righteous right hand and fighting for her "until Jerusalem is the praise of all the earth" and Hashem establishes His Universal Kingdom there! In the meantime we continue singing with hope in our hearts!